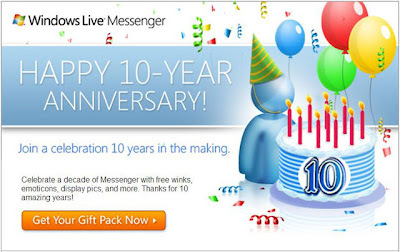 Ten years ago, Microsoft launched one of its most innovative communication services: Windows Live Messenger (formerly known as MSN Messenger). 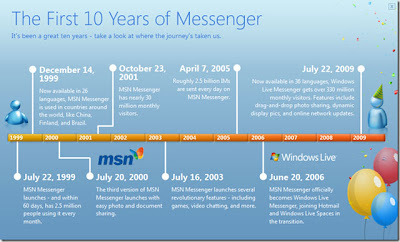 Throughout its many stages of evolution over the years, Windows Live Messenger (which is claimed to have 330 million users!) has become the most widely used free instant messaging service in the world.